off the fake ship’s prow. John Singer Sargent. 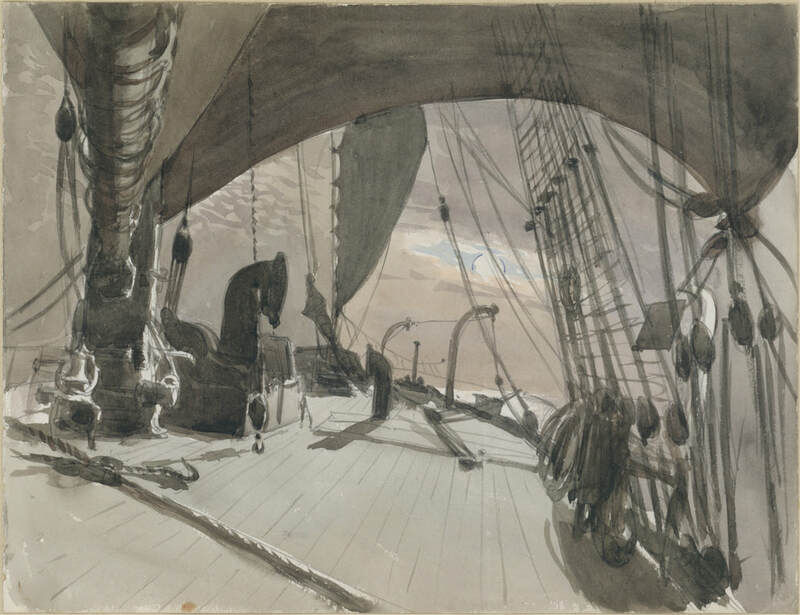 Deck of a Ship in Moonlight, 1876. Watercolor on off-white wove paper. The Metropolitan Museum of Art. Lisa Olstein is the author of four books of poetry, most recently, Late Empire (Copper Canyon Press, 2017). She teaches in the New Writers Project and Michener Center for Writers at the University of Texas at Austin.